Know that term “shipshape?” Well, I saw it, literally, in action last month when I took a holiday cruise. 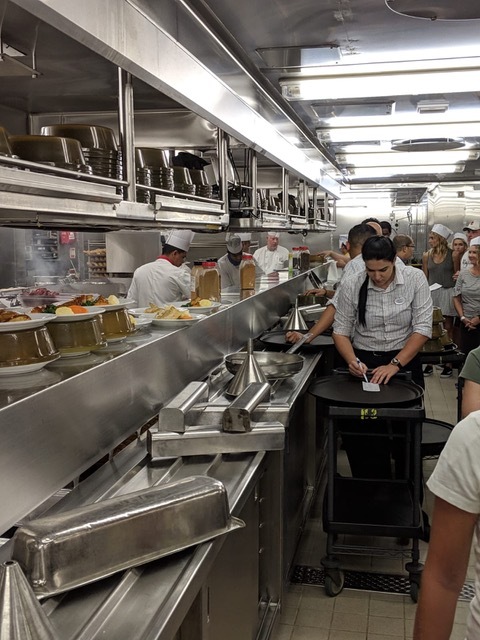 I was fortunate to be able to go on a tour of the ship’s kitchen to see how they produce an incredible amount of meals. What I discovered is their superior training combined with written processes and procedures enable them to do amazing work. With organization and planning up front, just about anything is possible. Ok, maybe not ice sculptures and perfect towel creatures. We have to leave some things to the professionals. If you’ve been on a cruise, you may have seen something like the fact sheet they handed out during the tour. It summarized some stunning statistics regarding our ship, Royal Caribbean’s Liberty of the Seas. The ship has a capacity of 6,000 people, including the 1412 crew members. Staff serves 125,000 meals each week. This includes, on average, 90,000 desserts, 69,000 perfectly cooked steaks and 18,000 pieces of pizza. (Wow.) 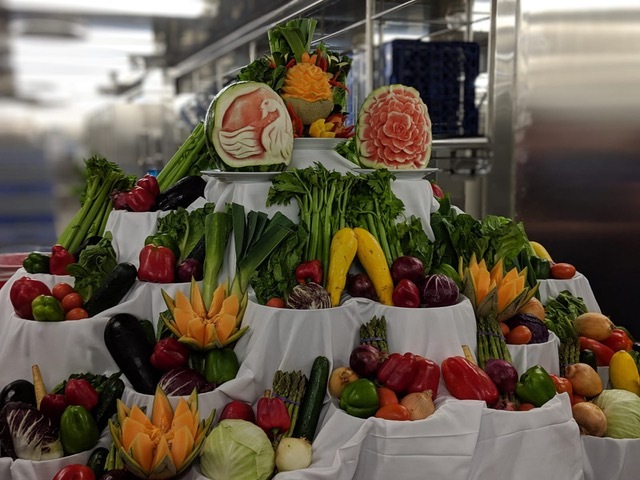 Royal Caribbean is able to accommodate this large number of people and successfully serve this amount of food, because they have meticulously planned processes and procedures the staff follows daily. Each person knows their role and they know when to execute it. I’ve shared before how clients have saved time and money after taking a discerning look at their processes and procedures, making changes where needed and documenting it all so everyone knows and understands the game plan. Don’t be afraid to revisit what may be working because you could find incremental efficiencies. You don’t want to fall into the trap of doing what you always do simply because that’s the way you’ve always done it. Importantly, it should be noted, this concept works well for the home, too. What family wouldn’t love a less hectic day? Having written processes and procedures not only facilitates things going as desired, it also better enables an organization to be flexible to take advantage of an opportunity. We saw that firsthand on our cruise as well. The college national championship game was on and the ship did not plan on televising the game in a public area. So, we asked to have one of the lounges TV’s changed to the game. They honored our request. Because it was such a popular change, they ended up changing the scheduled activities to broadcast the game in a sports-bar type area. They were also able to reassign staff to support the originally unplanned crowd. I am certain, had they not had clearly documented processes for a normal day, the cruise management would not have been able to assess the change and make the necessary arrangements to pull off the successful, impromptu viewing party. I encourage you to take a look at your current operations. Where might you better spell out the specific steps to follow to achieve a goal, improve your training or find inefficiencies? What might you document to take the guesswork out of a necessary response or change in course? What can you do to ensure shipshape outcomes in your business? 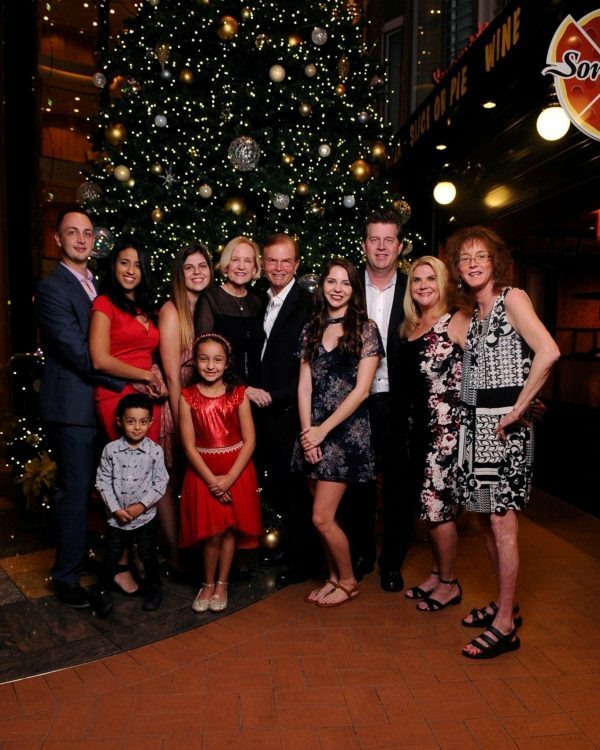 My family on our Christmas cruise on Liberty of the Seas. Sara Genrich is an Organization and Productivity Consultant, an Evernote Certified Consultant and the creator of the Organizing@Work for Success Workshop. She’s committed to providing real-life solutions so her clients have time to focus on the things that really matter.